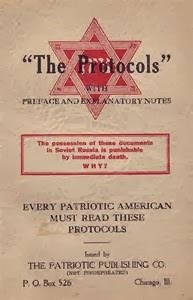 The "Protocols of the Learned Elders of Zion" is a book, it is the blueprint of the Zionist Jews for taking over the kingdoms of this world, and establishing the NEW WORLD ORDER. LISTEN TO THE ENTIRE PROTOCOLS BEING READ - 2 HR. 34 MIN.